Cava has added the first twelve sites to its new single vineyard classification ‘Cava de Paraje’, which was first proposed by the Cava Regulatory Board in May 2015 . The Spanish Ministry of Agriculture and Fisheries, Food and Environment last week unveiled the list of the first sites to be approved for the new classification, which are owned by some of the biggest Cava producers in Spain. The list of producers and their approved estates includes Torelló (Vinyes de Can Martí), Recaredo (Turó d’en Mota and Serral del Vell), Alta Alella (Vallcirera), Juvé i Camps (La Capella), Freixenet (Can Sala), Codorníu (La Pleta, El Tros Nou and La Fideuera), Vins el Cep (Can Prats), Gramona (Font de Jui) and Castellroig (Terroja). The new Cavas, which will form the ultra-premium tier of the traditional Spanish sparkler category, will include the term ‘Cava de Paraje Calificado’ and the name of the estate on the front label. To qualify for the single vineyard classification, the grapes must be hand-harvested from vines that are at least 10 years old, and have a maximum output of 8,000 kg per hectare. Fermentation must be carried out at the estate and have a maximum yield of 48 hectolitres per hectare. The initial base wine must be fermented in bottle for a minimum of 36 months, and they can only be made as ‘Brut’ wines. The Cava de Paraje classification was officially unveiled in Barcelona last June, just over a year after it was first announced by the Cava Regulatory Board. 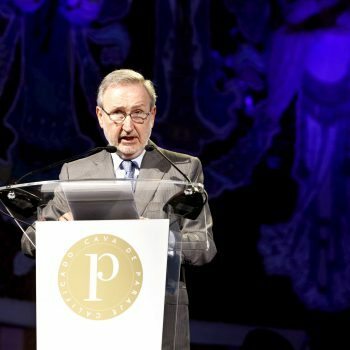 Speaking to db in October, Pere Bonet, president of the Consejo Regulador del Cava said the new ‘Cava de Paraje Calificado’ classification was an important tool to improve Cava’s global image and was expected to have a halo effect on the wider premium Cava category, which accounts for around 15% of Cava production. 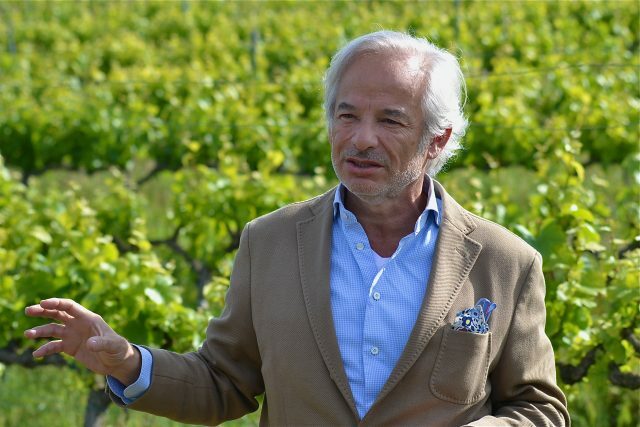 “The classification positions and raises awareness of Cava at the top of the quality pyramid for sparkling wine and motivates terroir-driven producers that meet the special conditions required to be classed as a single estate Cava to achieve this top level of protection in the future,” he told db. The classification joins the existing 90 Denominations of Origin and 41 Protected Geographical Indications in wines across the country. Speaking at the launch, the Spanish Minister of Agriculture and Fisheries, Food and Environment Isabel García Tejerina pointed out that wine was one of the most important product to the country’s agri-food trade, with exports increasingly coming from the higher quality end of production. This had been seen by the gradual increase in Spanish wines that were designated Denomination of Origin, she said, with Cava leading Spanish Denomination of Origin in terms of export volumes. The Cava region comprises 159 municipalities within Catalonia but nearly 95% of all Cava produced comes in the Penedès region, with the majority of production houses based in the municipality of Sant Sadurní d’Anoia. Cava shipments topped 245 million bottles in 2016, according to the latest figures from Cava’s regulatory body, the DO Cava, up 0.42% on the previous year. Good article. However, “The initial base wine must be fermented in bottle for a minimum of 36 months” should be changed into “the wine should spend 36 months on its lees.” This happens during and after the secondary fermentation and the output is quite different.